Roberts caught two of four targets for 42 yards and a touchdown in Sunday's 42-28 loss to the Colts. Analysis: Roberts handled a 60 percent snap share as the No. 3 wide receiver, landing far behind Brandon LaFell (92 percent) and Jordy Nelson (90 percent) but well ahead of Martavis Bryant (14 percent). There wasn't any noticeable role change for Roberts in the first game without Amari Cooper, as LaFell handled all of the vacated snaps. Roberts' average of 4.3 targets per game outweighs any potential appeal of a favorable Thursday matchup with the 49ers. Roberts (concussion) does not carry an injury designation for Sunday's game against the Colts after practicing fully Friday. 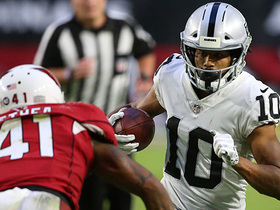 Analysis: Roberts, who caught nine of 13 targets for 72 yards over his last two games, isn't the flashiest fantasy option, but he's worth a look in deeper formats now that Amari Cooper is no longer in the Raiders' pass-catching mix. 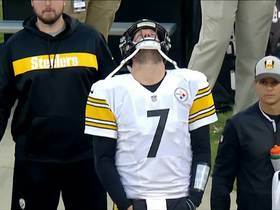 In that context, Jordy Nelson will remain a starter, while Martavis Bryant is also a candidate to see added opportunities with Cooper -- who averaged a tick over five targets per game -- no longer atop the team's depth chart. Roberts (concussion) was a limited practice participant Wednesday, Matt Schneidman of The San Jose Mercury News reports. 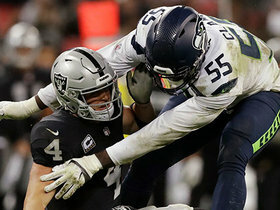 Analysis: Roberts remains in the concussion protocol as the Raiders come out of a bye week, but he still has a few days to gain clearance ahead of Sunday's matchup with the Colts. He could take on some more snaps and targets with Amari Cooper no longer in the picture, though Martavis Bryant seems like the better bet to handle a good chunk of Cooper's vacated workload. Roberts (concussion) returned to the practice field Monday, Jerry McDonald of The Oakland Tribune reports. Analysis: There is still no word on whether Roberts passed concussion protocol testing, which would need to occur before the wideout returns to game action. However, with Amari Cooper now headed to Dallas, Roberts could find himself in an expanded offensive role when he returns. Roberts is still going through the league's concussion protocol Tuesday, Matt Schneidman of The San Jose Mercury News reports. Analysis: Roberts was one of two Raiders wide receivers to suffer a concussion in Sunday's loss to the Seahawks, with Amari Cooper also being forced out of the game in the first half. It's unclear exactly how severe Roberts' issue is, but fortunately for him, the Raiders have a bye this week, giving him extra time to recover. Roberts caught five of six targets for 31 yards in Sunday's 27-3 loss to the Seahawks before leaving with a concussion during the second half. Analysis: Roberts hauled in a season high five passes, but he wasn't able to finish the game after sustaining a head injury. He'll need to clear the league's concussion protocol, but fortunately Roberts has additional time as the 1-5 Raiders have an upcoming bye week before hosting the Colts in Week 8. Fellow receiver Amari Cooper also left Sunday's tilt with a concussion, leaving Jordy Nelson and Martavis Bryant as Derek Carr's (arm) primary options at receiver. Roberts suffered a concussion during the second half of Sunday's game against the Seahawks and will not return, Vic Tafur of The Athletic reports. Analysis: Roberts wasn't the only Raiders wide receiver to exit with a concussion, as starter Amari Cooper also sustained a head injury following a helmet-to-helmet hit. Jordy Nelson, Martavis Bryant and Dwayne Harris are the only remaining healthy options at receiver Sunday. 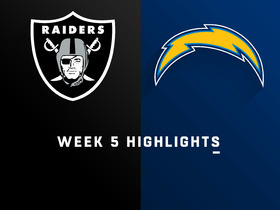 Roberts caught four of seven targets for 41 yards in Sunday's 26-10 loss to the Chargers. Roberts caught two of three targets for 12 yards in Sunday's 45-42 overtime win over the Browns. Analysis: Roberts logged 30 offensive snaps Sunday after surprisingly being held out as a healthy scratch in Week 3. He's totaled just eight targets in three games this season while Amari Cooper, Jordy Nelson and Jared Cook continue to lead the way as pass catchers in Oakland. Roberts is inactive for Sunday's game against the Dolphins. Analysis: It's a bit of a surprise to see Roberts scratched Sunday, given his 3-43-1 stat line in Week 2, but the Raiders will roll with a wideout corps in Week 3 headed by Amari Cooper, Jordy Nelson and Martavis Bryant. Roberts caught all three of his targets for 43 yards and a touchdown in Sunday's 20-19 loss to the Broncos. 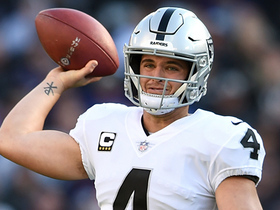 Analysis: Roberts caught Derek Carr's lone touchdown pass on a 20-yard completion during the third quarter to put the Raiders up 19-7, but that ended the team's scoring run as the Broncos eventually posted 13 unanswered points to keep Oakland winless. Roberts' touchdown salvaged an otherwise quiet performance, as the fourth-year receiver has seen just five total targets through two weeks. Roberts caught one pass for 11 yards on two targets in Monday's loss to the Rams. Raiders head coach Jon Gruden said Wednesday that Roberts would open the season as the team's starting slot wideout, Scott Bair of NBC Sports Bay Area reports. "He's always making plays in practice, and someone we can depend on," Gruden said of the receiver. Roberts has a spot on Oakland's initial 53-man roster, Matt Schneidman of the San Jose Mercury News reports. Analysis: With Martavis Bryant released and his own spot secure, Roberts likely will enter Week 1 as the No. 3 receiver behind Amari Cooper and Jordy Nelson. It's a role Roberts held each of the past three seasons, averaging 37.7 catches for 444 yards and 3.7 touchdowns over that span. Roberts logged a team-high 51 snaps in Friday's 13-6 preseason win over the Packers. Analysis: Roberts didn't haul in his only target in the game, but he's healthy after missing some time with an undisclosed issue. With Amari Cooper and Jordy Nelson atop the Raiders' wideout depth chart and Martavis Bryant also on hand, Roberts, as it stands, profiles at the the team's No. 4 option at the position. He's therefore a break away from a reliable path to targets, and he did log 43 catches for 455 yards and a TD in 15 games last season, so he remains a name to file away in deeper leagues. Roberts (undisclosed) has retaken the field for practice, Michael Gehlken of the Las Vegas Review-Journal reports. Analysis: Roberts was absent from Monday's practice after missing Friday's preseason opener, but it appears the reason for his absence was relatively minor. Now back in the fold, Roberts is likely slated for the No. 4 role this season after the Raiders signed veteran Jordy Nelson and traded for Martavis Bryant during the offseason. Roberts (undisclosed) isn't practicing Monday, Matt Schnediman of The San Jose Mercury News reports. Analysis: Roberts wasn't available for Friday's preseason opener against Detroit, missing out on an opportunity to make his case for a role. With Amari Cooper, Jordy Nelson and Martavis Bryant expected to serve as the top three wideouts, Roberts is hoping to beat out Ryan Switzer for the No. 4 job. Roberts was not available for Friday's preseason opener due to an injury, NBC Sports Bay Area reports. Analysis: The Raiders have reportedly discussed trading Roberts following the acquisition of Martavis Bryant, but they have yet to find a match for his services. He was already slated to serve as the team's No. 3 wide receiver before Bryant joined the mix and he's now further down the pecking order. An injury could further hurt Roberts' chances of being traded, so getting back onto the field could only benefit him. The Raiders are hoping to trade Roberts after acquiring Martavis Bryant on Thursday, Vic Tafur of The Athletic Bay Area reports. Robert remained on Oakland's roster through Friday, at which point his $2 million roster bonus and $2.25 million base salary for 2018 became fully guaranteed, Michael Gehlken of The Las Vegas Journal-Review reports. Analysis: Signed to a two-year extension last offseason, Roberts caught 43 of 65 targets for 455 yards (7.0 per target) and one touchdown in 15 games in 2017. The Raiders seemingly intend to give him another shot at the No. 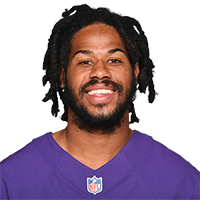 3 receiver role under new head coach Jon Gruden, though the 27-year-old wideout could face competition from Cordarrelle Patterson and/or a draft pick. The Raiders probably would've released Roberts on Friday if they intended to sign a veteran for the No. 3 job. Roberts finished his 2017 campaign with 43 receptions (on 65 targets) for 455 yards and one touchdown in 15 games. Roberts caught three passes on six targets for 23 yards in Monday's 19-10 loss to the Eagles. 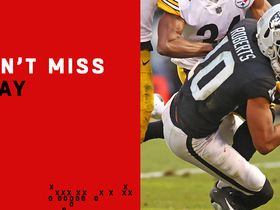 Analysis: Roberts saw just one less target than starters Amari Cooper and Michael Crabtree combined, as quarterback Derek Carr's struggles negatively impacted the Raiders' receiving corps throughout the contest. 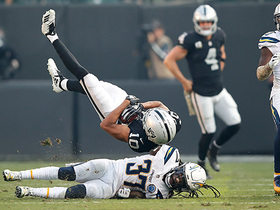 Roberts has now caught three passes in three consecutive games for Oakland, while his ceiling remains limited heading into the team's 2017 season finale against a tough Chargers pass defense. Roberts caught three passes on five targets for a season-high 52 yards during Sunday's 20-17 loss to the Cowboys. Roberts caught three passes on as many targets for 24 yards in Sunday's 26-15 loss to the Chiefs. Roberts logged five receptions for 46 yards on six targets during Sunday's win over the Giants. Analysis: Roberts led the Raiders in receptions while usual starters Amari Cooper (concussion, ankle) and Michael Crabtree (suspension) were sidelined, but the slot receiver remains without a 50-yard performance through 11 games played this season. He's also been held out of the end zone since Week 1, while the expected returns of both Cooper and Crabtree in Week 14 don't bode well for Roberts' fantasy ceiling. Roberts could be in store for a larger target volume Sunday against the Giants with Michael Crabtree (suspension) and Amari Cooper (concussion/ankle) unavailable, Matt Schneidman of The San Jose Mercury News reports. Roberts was busy at Wednesday's practice in the absence of Michael Crabtree (suspension) and Amari Cooper (concussion/ankle), Michael Gehlken of the Las Vegas Review-Journal reports. Roberts caught two passes for 26 yards on three targets during Sunday's 21-14 win over the Broncos. Roberts caught five passes for 36 yards on nine targets during Sunday's loss to the Patriots, but he also lost a fumble in the red zone and struggled with drops throughout the contest. 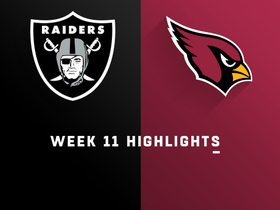 Analysis: Roberts posted season highs in both receptions and targets during the Raiders' Week 11 loss, but those numbers were ultimately unable to mask a poor overall performance from the third-year wide receiver. Mistakes included a costly third-down drop along with a lost fumble inside the Patriots' 10-yard line as Oakland approached the end zone. These lapses in focus by Roberts could result in a snap increase for Cordarrelle Patterson out of the slot against the Broncos in Week 12. Roberts caught two passes on as many targets for 28 yards during Sunday's 27-24 win over the Dolphins. Analysis: Roberts was able to return from the illness that kept him sidelined in Week 8 against the Bills, but he nearly tied his season low in offensive snaps with just 35. The third-year receiver logged his third 20-plus reception of the season, but he hasn't found the end zone since Week 1. 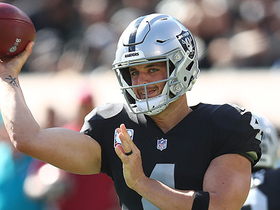 Fellow receivers Amari Cooper and Michael Crabtree -- along with tight end Jared Cook -- continue to rank as Derek Carr's favorite targets as the Raiders head into their bye week. Roberts (illness) practiced fully Thursday. Analysis: Roberts has turned in full practices both of the last two days, clearing up any concern about his status heading into Sunday's game against the Dolphins. 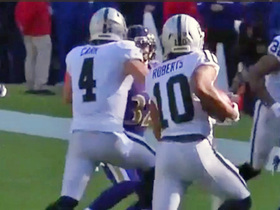 With Roberts likely in line to reprise his normal role as the Raiders' No. 3 wideout behind Amari Cooper and Michael Crabtree, Cordarrelle Patterson, who played a season-high 57 offensive snaps in Week 8, should see a significant role reduction. Raiders head coach Jack Del Rio said that Roberts (illness) is feeling "better," and the team is hopeful the wideout will practice Wednesday, Michael Gehlken of the Las Vegas Review-Journal reports.